by hongkonggong, November 24, 2011. 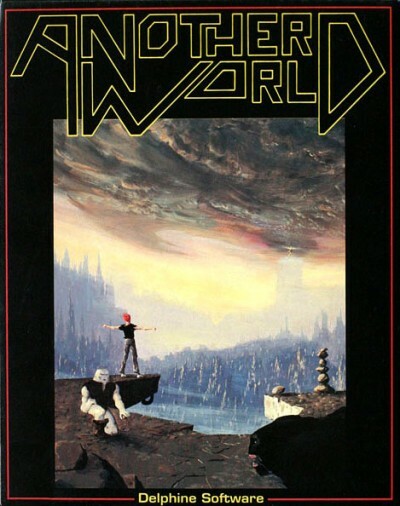 Another World was made during an era of PC gaming when single-creator works were still the norm. Rounabout the same year when Jordan Mechner was plumbing the depths of level design with the Prince of Persia, Eric Chahi was pushing the boundaries of narrative videogames with Another World. As Chahi declared at the project’s post-mortem at the recent Game Developers Conference, “I just knew I wanted to create a game with a cinematic feeling, with the theme of science fiction, in the rhythm of a movie.” And that he did, sleeplessly, for two years of his life. Released 20 years ago, Another World is still one of the best examples of a cinematic videogame – light on cut scenes, devoid of text and filled with infinitely playable twists and turns. Re-released this year on the iPad with minor upgrades in graphics, the game could easily pass for a modern indie game. Its simple, polygon-based art style and retro sound effects have aged well, and its tight action mechanics are still as compelling as they were back then. The only component that may be off-putting for modern gamers is its difficulty; even on the new easy mode (called “normal” in the iPad release), players are wont to die again and again. That players are left to die repeatedly and to figure it out themselves is one of the game’s key features. Chahi stated that he purposely left out any potentially helpful interface elements in order to minimize distraction from the game’s events. As a result, Another World will not reveal any hints of what you must do, even if you die in the same spot many times; the beauty of it is that Chahi has left you, the player, alone on an alien planet and you must figure it out yourself. 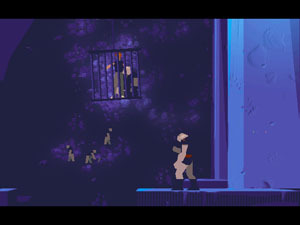 The first few moments of Another World are telling about the way Chahi wishes the player to experience the game. After watching a short cutscene of the main character, Lester, falling into a interdimensional warp, you see him being dumped into a large pond. Lester starts sinking and you’re supposed to direct him onto a dry shore. But for most players (myself included) there’s been no indication that the cutscene has ended. So we watch Lester fall to the bottom of the screen to his death, and only when the game dumps us back into the water a second time do we notice that the cutscene is over and that it’s time to start playing. Ironically, with all this focus on cinematic action and narrative, the game follows a very simple storyline. Lester finds himself on an alien planet. He gets captured. He must escape. It’s a threadbare plot, well suited for action and is reminiscent of a Super Mario game in its sparseness. But Another World is different in one key aspect: Every level doubles up as a scene. Where the levels in a Mario act as excuses to throw different themed obstacles in your path, the levels in Another World all have specific settings, problems and solutions. The difference is subtle, but it has allowed Chahi to “create a game with a cinematic feeling, with the theme of science fiction, in the rhythm of a movie” that is still fun 20 years later. Article by hongkonggong, November 24, 2011.